- Hi there! I'm Rachel. 1. I love to eat crab rangoons! 2. I've recently become a Mama! My daughter was born in November 2016, and she has the best (and most supportive) Daddy ever! recorded, and available in sheet music form soon. 4. I am passionate about children being given opportunities to see live classical music. So, I love to produce, or participate in concerts that invite children to be a part of the audience. 5. My personal motto is "Live, Laugh, Love"
​And I am currently doing just that, in Chicago. Mention the name of soprano Rachel Sparrow to just about anyone who has heard her, and the reaction is that she is one of the most talented and versatile singers on the vocal scene today. Sparrow is part of a new generation of singers known for being as comfortable on Broadway stages as they are operatic ones. Ms. Sparrow first drew attention from audiences and critics alike after completing her Master of Arts degree at Northwestern University. Making her European debut in the title role of Donizetti’s Lucia di Lammermoor with La Musica Lirica, garnering rave reviews for her powerful acting and beautiful musicality. She then made her ﻿Indianapolis Opera﻿ debut as a “dewily sweet” Polly in Kurt Weill’s The Threepenny Opera. Rachel has a personality (on and offstage) that is hard to resist, and in nearly every competition she has come across, she has been awarded the "Audience Favorite" prize. She has been winning both national and international competitions, which have done much to launch her career, and include a Carnegie Hall NYC debut as part of her First Prize win in the Barry Alexander International Vocal Competition. As testimony to both her artistry and versatility, her program there not only included tour de force operatic works, but also contemporary pieces, and traditional American spirituals. Yet the nature of her talent also extends to include works of living composers like Jeanine Tesori, John Musto, Robert A. Harris, and a performance of Harris’ Gloria, which she sang with the Northwestern University Symphony and Chorus at ﻿Millennium Park in Chicago﻿ under the composer's baton. Combine this with her superb musicality and vocal facility, and it is easy to understand why she is rapidly becoming a much sought-after artist for some of the most complex and demanding new literature, such as Toivo Tulev’s Songs, or The Five Images After Sappho by Esa-Pekka Salonen, a performance in which she appeared as guest soloist in 2015 with Northwestern University’s Contemporary Music Ensemble, with the world renowned composer/conductor in the audience. An avid and scholarly approach to the arrangement of a cappella hymns and spirituals—part of a recording project she is currently preparing—round out a perception that when it comes to vocal performance, Ms. Sparrow is very much a modern day Renaissance woman. Still, what must also not go unnoticed within this wonderfully diverse array of vocal abilities is a person whose commitment to her music is part of a deep and abiding spiritual infrastructure: Family, church, and friends do as much to underline her talent as anything purely musical. And while this may not necessarily distinguish her from any number of artists who maintain their success is connected to their personal religious beliefs, it is one of the many ways one can better understand why the future, for Rachel Sparrow and those lucky enough to hear her, appears unquestionably bright. Soprano Rachel Sparrow belongs to a tradition of artists whose talent allows them to excel in a variety of musical genres. Moreover, her commitment to music extends well beyond wanting to be successful to being spiritually motivated to use her gifts as a demonstration of the power of music to both educate and inspire. This interview revealed a focused and committed artist whose understanding is of music as a force not just for good, but also for change in both society and the lives of people. Ms. Sparrow, it is a great pleasure to speak to you today, not only about your career, but about all the factors that serve as ways by which your own artistry is continuing to develop. ﻿What do you feel, for you, is the most important aspect of performance? "Great question. I often see this intangible difference between performers who give of themselves, and performers who simply want to receive. I suppose another way to put this, is that there seem to be performers who only perform for themselves, and performers who offer 'gifts' for their audience. I always strive for the latter. I crave that real, human connection, where I feel as if I am communicating with the audience and experiencing something with them. Given the highly focused nature of your abilities, and your very personal focus on performance, it comes as no surprise that you are from a family with great musical traditions and strong spiritual values. Please tell us a bit more about your childhood and the role music plays in your family. "I was born and raised in Independence, Missouri; a large suburb of Kansas City, the fifth of seven children. Our house was a few blocks from the historic home of President Harry S Truman, and it always made a great impression on me. My father played the violin in college, he was even concert master, and although his playing in an orchestra took him to Europe, and even performances at Carnegie Hall, his career path changed when he and my mother married and started their family, and after living in Colorado for a number of years, he accepted a job at Ford Motor Company in Kansas City, where he has worked for the past 24 years. His own musical background has made him very understanding and supportive of my career, and helped me to get to where I am today. He grew up in Grand Junction, Colorado, where his parents had a horse ranch, and I have many fond memories of being there and riding horses when I was young. My mother grew up in Nashville, Tennessee. She plays the piano, classical guitar, and also sings. We always sang in the church choir together as a family. My mother drove me to countless music lessons, and listened to each one. I owe her so much! Her mother is nearly 100 years old and still lives in Tennessee. My Mom's father, who sadly passed away before I was born, owned a piano store in Nashville. I remember many days spent singing around the piano for my grandmother or “Nannee,” as we call her. I loved being down there so much. I remember teaching myself how to speak slower and mimic the accent so I could “blend in” every time we visited. I love Tennessee, so I like to claim the South just as much as I claim the Midwest." It is my understanding that you also spent some time in the West? "Yes, it’s true. After six years near the wilds of Yellowstone National Park I get to claim the West as well! I have an uncle (my mother's brother) and aunt who are quite dear to me that live in Idaho. When I was younger, I visited them every summer to attend a choir retreat with them in Challis, a small mountain town in central Idaho. Being there made me fall in love with the west, so much so that when it came time to decide on a college—with a bit of prompting from my aunt and uncle, of course—I chose Idaho State University in their town of Pocatello, Idaho. I still consider that one of the best decisions of my life so far." "Aside from that fact that I have always thought of Idaho State University as a diamond in the rough, all of my teachers were fantastic. Everyone, from Diana Livingston Friedley with whom I studied voice, to Scott Anderson, the director of choral activities, and Erika Schulte, my violin teacher, gave me a kind of musical and intellectual grounding I think would have been hard to find anywhere else. There is also a top-of-the-line performing arts facility [Stephens Performing Arts Center], but even more than all of these things is the fact that I met my husband there, which tops the list!" You played the violin while you were a student at Idaho State University? "Yes, the violin was my secondary instrument during my undergraduate studies. I earned a Bachelor’s in Music Education as well as a Bachelor’s in Voice Performance. My violin scholarship in addition to voice and academic scholarships made school very affordable, for which I am very grateful." Given the fact that you are a coloratura soprano, please tell us about your last name, “Sparrow.” Many would assume it is a stage name, and yet my research tells me that it is, in fact, real. "Yes! In fact, I sometimes tease my husband that when he proposed, his dashing good looks came in second over his name. After seven years of happily being married, he is one of a kind, and I don’t know where I would be without him." After growing up near Kansas City, then living in Idaho for six years, what brought you to Chicago? "I was lucky enough to be awarded a scholarship to the prestigious Bienen School of Music at Northwestern University, where I earned my Master of Vocal Performance degree. I studied voice with Pamela Hinchman. She is still a dea​r mentor to me. I have loved Evanston (and with it Chicago) more than any other place I have ever lived. The pace of life, the culture, the diversity, the food, the beach, and even the crazy winters, are all wonderful to me." Tell us about your a cappella solo arrangements of hymns and spirituals. "I think there is something unique about the solo voice without accompaniment that possesses a special reverence, and I like to highlight the words and meanings by altering or reworking the melodic line. Another thing I like about these arrangements, is that they can be performed anywhere. One of my favorite experiences was singing “How Great Thou Art” atop a mountain with family around a campfire in Idaho a few summers ago." You teach voice, violin, and piano. How does teaching help you as a performer, and how do you use it to be involve yourself in your community? "My husband and I are very involved in our church community, as well as our neighborhood in North Evanston. Teaching helps me as a performer by making me more aware of ideas and elements I emphasize to my students. Although I wanted to be a music teacher originally, I also love the audience/performer connection so much that I imagined this perfect world where I could do both, and so far it’s working. My studio recitals are to me the best reward a teacher can have, since they let you appreciate first-hand how hard your students have worked, and it’s thrilling! I also have the privilege of directing the All Village Singers, a very fun group of volunteer singers, rehearses once a week, and we produce spring and winter/holiday concerts in the community on the North Shore. Within the professional musical community I enjoy being a part of the Chicago Symphony Chorus when I can, as well as the Music of the Baroque, as Chicago's musicians are simply top-notch. Given the high levels of satisfaction you are currently enjoying, not to mention a balance of so many things, do you ever think in terms of an ideal career, and if so, what would it include? "I feel as if I am almost there...to the 'ideal', I mean. The only way my ideal could be more 'ideal' would be if there was some miraculous broom that would sweep away the time one wastes on the endless scheduling and balancing game of being committed in too many areas at once. This truly is a dream, to be able to have a steady performing career, to interpret such amazing pieces of art that the most brilliant minds before us have created, and also to collaborate with other artists on new and exciting projects. Then, to be able to turn around and impart some of the gems and wisdom that you have gained and watch a student's eyes light up with new knowledge and a love of music. And most of all, to give those gifts of humanity to an audience. It changes our society; because, instead of all of the other things that a world could crave...they begin to crave beautiful things. When we create and give beautiful things, the world is a more beautiful place. What could be more ideal than that?" The Rachel Sparrow story is a most compelling one indeed, not just because she is an Idaho State University alumna who made good, but because she dreamed a dream, did the hard work, and stayed focused. Now-as they say-"she's livin' the dream," doing what she loves and loving what she does. Sounds simple enough doesn't it? However, there are a few details worth noting. Rachel Sparrow was actually Rachel Sampson when she entered ISU (I'll get to the Sparrow thing in a paragraph or two), and the one thing she knew for certain was that she wanted to be a singer-a professional singer. Actually, that had been a dream of Rachel's since childhood, and she darned well meant to see it through. As is the case, however, with most successful people, there is almost always a person(s) by whom they were greatly influenced and/or mentored. Rachel was no exception. Her first voice teacher was Millicent Daugherty, who Rachel says "was a big time influence" in the early years of pursuing her career as a singer. Ms. Daugherty was quite accomplished in her own right, for it was she who founded "The Music Arts Institute" in Independence, Missouri. It was under the tutelage of Ms. Daugherty that Rachel fell in love with opera and found herself appearing in The Lyric Opera of Kansas City's production of "A Midsummer Night's Dream" in the children's chorus at the tender age of fifteen. As fate would have it, Rachel had an uncle out west in Pocatello, Idaho, who asked, "Why don't you give ISU a try?" So she made the trek out west, auditioned, fell in love with the faculty at ISU and that was that. While at ISU, she became a student of the much acclaimed soprano/teacher Dr. Diana Livingston Friedly who would become another major influence in her life and career. During her enrollment at ISU, Rachel was featured in productions of The Threepenny Opera and The Magic Flute among others. Another much admired professor of Rachel's was Dr. Scott Anderson who told her, "You already know how to dream, now all you need is to do." "Doing" is Rachel's specialty, and as a result she got to do things like travel to Peru and Germany with the ISU Chamber Choir. A couple of paragraphs ago I told you I would explain the transition from Rachel Sampson to Rachel Sparrow. It seems that during a solo by Rachel in a choir concert at ISU a fellow by the name of Trent Sparrow became absolutely smitten by her. C'mon, you know the rest of the story. Ms. Rachel Sampson became Mrs. Rachel Sparrow, and the love of her life is now also her biggest fan. I got so caught up in the love story that I almost forgot to tell you that while at ISU Rachel earned not one but two degrees-one in music education and the other in vocal performance with her secondary instrument being violin. Since graduating from ISU in 2010, her story has gotten even more exciting. Rachel was granted a nearly full-ride scholarship to Northwestern University, where she attained her Master's Degree. And, the story just keeps getting better. Last summer, Rachel lived in Italy thanks to the generosity of her friends, fans, and family and performed the title role in the opera, Lucia di Lammermoor at La Musica Lirica. And by the way, as you might have already imagined, Rachel sings quite flawlessly in Italian, French, German, Spanish, Hebrew, and Portuguese. I'm sure before it's all over she will master all the major languages. Let's put it this way; you would be a fool to bet against her. Rachel now makes her home in Chicago, where she teaches voice to about twenty very lucky students. And when time permits (only God knows when that is), she sings with the Chicago Symphony Chorus. 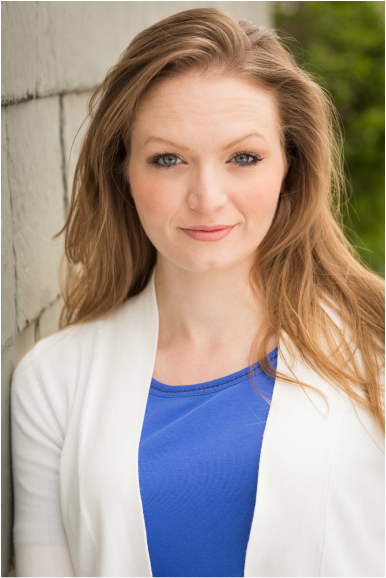 Rachel appeared this past summer as Gretchen, the Comedienne bar maid in the Utah Festival Opera & Musical Theatre's production of The Student Prince. And just for good measure, she will be making her Carnegie Hall debut in the Weill Recital Hall on Oct 26, 2014 as the First Prize Winner of the Barry Alexander International Vocal Competition. Here's the real kicker. When I spoke with Rachel recently, I got the distinct impression she doesn't think she has yet even scratched the surface. That's kind of the way it is with truly accomplished people-they never rest on their laurels, and they are always ready for the next challenge. Rachel is living the dream alright, but it's kinda like Thomas Edison once said, "The reason a lot of people do not recognize opportunity is because it usually goes around wearing overalls looking like hard work." Rachel recognized what opportunity as well as hard work look like, and the world is a better place for it.